Start the New Year with Pastor Mike and the CFTN Family on a new 21-day prayer and fasting initiative. We believe fasting is a spiritual discipline we are all called to do, and when coupled with prayer, it has tangible consequences. Even more, we grow in unity & solidarity when we fast corporately. Fill out the form below to get updates on the daily prayer points as well as other great fasting resources. A fast is not just a time to unplug from the world's routine; it's a time to pray big prayers and plug into God's promises. Spend some time each day connecting with God and also covering the daily prayer focus. 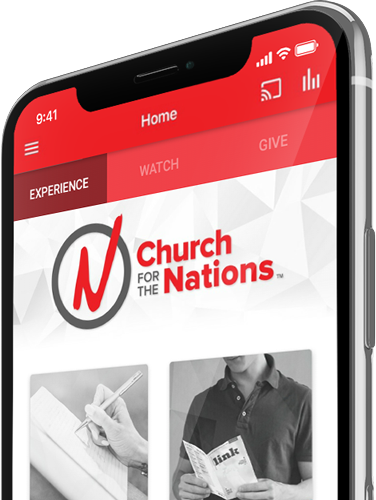 The CFTN mobile app makes it easier to access prayer focus videos and resources. Meet during our corporate prayer events (Pray First on Saturday Mornings and Phoenix Fire on Sunday Nights) or in the 21 Days Facebook Group. See below for corporate prayer details. You can choose how you fast during the 21 days, but we recommend the Daniel Fast, which cuts out meats, sweets, and yeast for the 3 weeks. Sign up for email updates and we'll share our favorite recipes.